Today at church I wanted to crawl under my chair and hide from the sermon. I realize not everyone is a church goer but stay with me. Craig, our preacher, was talking about praying to the Lord asking him to break you. The idea is to take you to your limit and then go beyond what you can handle on your own. Why? Why would anyone ask for this? Well, so you can depend on God is the ultimate reason. I was sitting there thinking, no way would I ever in a million years ask God to break me. When we are breaking. We fight it. We try to keep it together. We keep on keeping on until we can’t anymore. We finally reach that moment and break. I felt and understood how God has already broken me. As I sat in my chair (not under it), tears came along with the memories of the last year. Every time some new drama would erupt I would tell myself, “I got this.” The women in my family are a lot like Scarlett O’Hara in a crisis. We deal well. By August when things were settling down in my world, I was breathing easier. Then the depression came. The calm after the storm wasn’t the end. I finally broke. I could not longer carry the memories, guilt and shame of everything in the recent past. One night after crying for most of it, I gave up trying to deal. I lay my burdens at the Lord’s feet. Although November and December were the hardest ones I’ve ever known, I made it through because after giving my worries to God and didn’t take them back. For once, I didn’t take them back. I relied on something bigger than myself. I trusted in someone bigger than anything I can comprehend. God saved me, not me. He saved me. I get the prayer. The idea of it scares me. I’ve been broken. I’m still mending, trusting and relying on someone bigger than me. He’s got this. 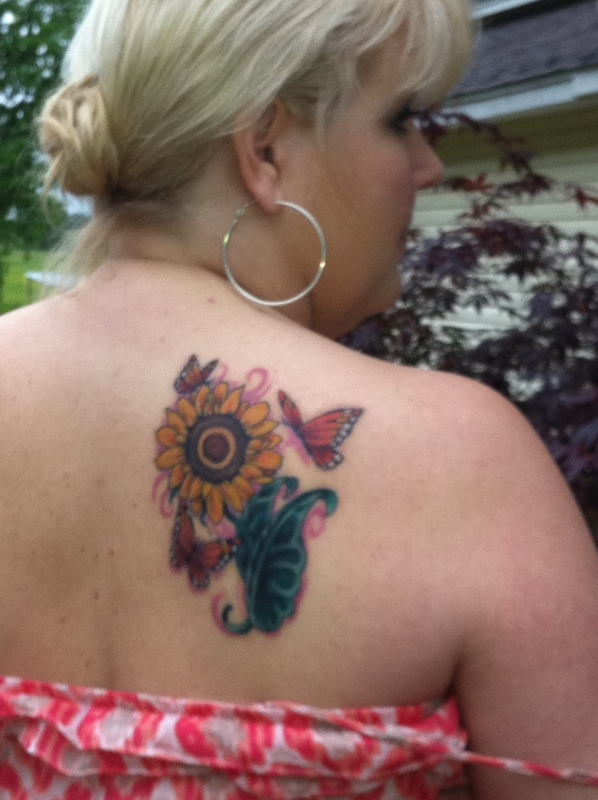 This pic is old but it shows the tat beautifully. I asked the question, “What is your spirit animal and why?” to my Facebook friends this week and I received some interesting answers. So what animal channels your inner self? What qualities do you feel a kinship to and why? Since I’m on a journey of discovering just who Holly is on her own I gave this some serious thought. It is ranking right up there with, “How do I like my eggs?”, ala Run Away Bride. I have a lot of time to ponder these questions while I’m on the road for work. Drive time+think time=blog post. Here’s a couple of my friends answers to my question. 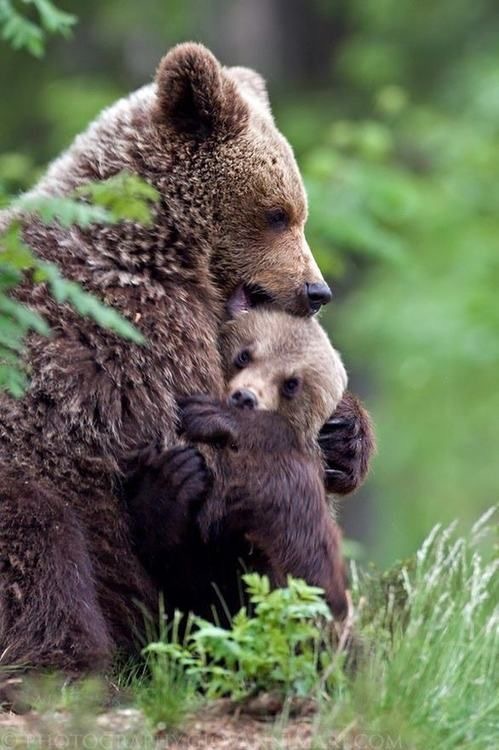 Jimmy said, “My spirit helper is the bear because he looks really dangerous and sometimes can be but most times he is very helpful and protective of friends and family.” As his friend I can attest to this. He has been a good friend to my family in the short time I have known him and I can say he is protective and looks out for others. If we were in a conversation right now I’d be nodding my head and saying, “Good one. Good choice. That’s so you.” My good friend TC asked her son Sean the question and he chose the cheetah for her spirit animal. His reasons were very sound ones I thought. TC will work all day then come home and run for 30-40 minutes. She said, “I’m not a fast runner, and I wish I was faster. I know that just being out there is what is important, and I get so much from it. 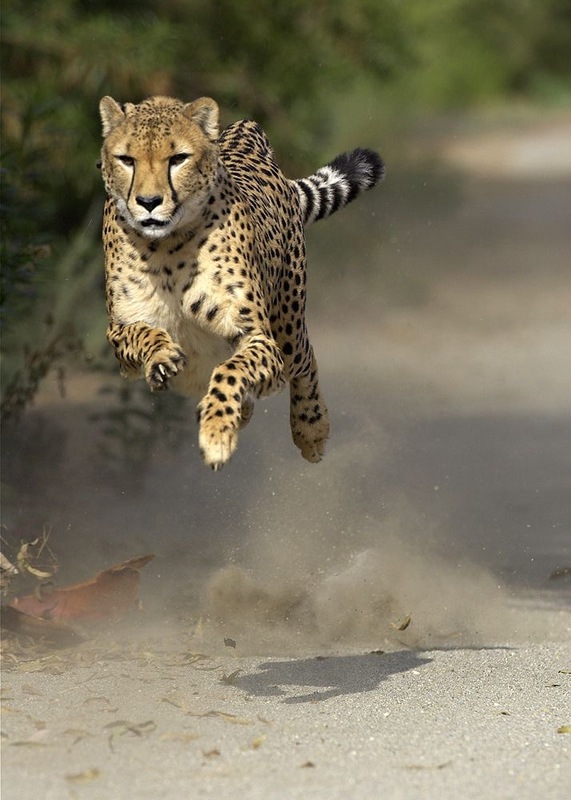 So my spirit runs like a cheetah. My body runs and my spirit runs faster. Together we are awesome!” I like these both responses very much. Thank you to my friends for sharing these thought with me and letting me include them in my post. I thought and I thought on what my spirit animal or helper would be. I was really clueless. I love my dogs but to identify with them as such just didn’t fit. I wanted to be something in the wild. I wanted to channel something free. Who wants to say, “My spirit is in my pampered pooches?” I do admit there’s nothing wrong with that. My puppies live full lives. Seriously though they are more like my other children than dogs, so choosing them was out of the question. Like TC I sought the input of my children. Cole’s response was my truth. The butterfly, specifically, the Monarch. Of course. Here’s the why. This is my favorite life story. I’ve lived in this area all my life. You see patterns emerge in weather and in the seasons. For instance, I know that the best Easter flowers usually bloom long before we celebrate the holiday. I know it doesn’t usually snow before Christmas and the best chance of a snow day is in January. I also know Lake Tenkiller is too cold (for me) until about mid to late June. I also know that in September on into early October I’ll see the Monarch Butterflies migrate through Oklahoma heading south to Mexico. Each year this phenomenon marks the beginning of Fall, for me. When I was a little girl my brothers and I rode the bus and from the bus stop to our house it was about three-quarters of a mile. We walked it everyday in the morning and in the evening. Such drudgery. It seemed like a really long walk so to pass the time I was always thinking on something, kind of like what I do now when driving. In September I’d count how many butterflies I would see during my walk home and share my findings with my Nanny when I got to the house. Every year she and I watched and waited for the butterflies to come through. When I got older, and in a different house, I’d come in and tell her again how many I’d splatted with the windshield or seen otherwise while driving that day. Nanny and I had this between us always. Times changed, I grew up and got married. We exchanged a phone call after the first sighting every year or talked about it at Sunday dinner. I don’t remember the year exactly but I think it was 1999 when the Monarchs had made their trek south and there was a frost in northern Mexico. I remember watching the short news story on CNN one morning. 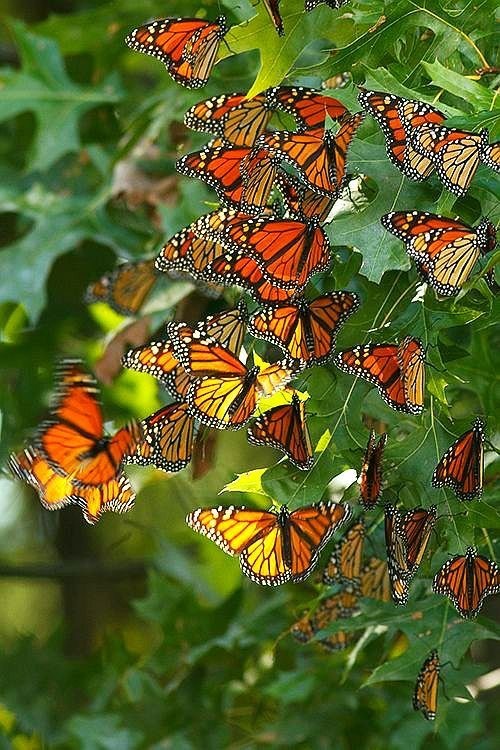 The news person reported this event and quoted some scientists saying it was feared the Monarch as a species may not recover from catastrophic even and as a result may become extinct. There was visual footage of dead butterflies all over this little town south of the border. I was so sad. I cried and I called my Nanny to share this sad news. Two years went by and I would see an occasional Monarch Butterfly in the fall but it was rare. The same was true on my Nanny’s end. We must fast forward a few years to get the rest of the story. The Fall of 2003 was a rough one for my family. My husband had just lost his job and I at the time was only working at my nursing job part-time. The days that followed this huge event were scary. How we’re going to pay our bills? Would he find another job? Could I get a full-time gig? I was at home one afternoon and had managed to get both kids to take a nap at the same time, which was a rarity. I remember feeling so overwhelmed and needed to escape the four walls of the tiny house for a minute. I didn’t go far. I went out and sat on the stoop of the front porch. I sat there breathing slowly with eyes closed, then I began to pray. I asked God for guidance and deliverance from my fears. I prayed for full-time work for my husband and for me. I prayed for survival. When I opened my eyes I saw a single Monarch Butterfly go sailing by. A good sign I though. Then I saw another and another just above my head. I leaned back because I could see something in the periphery and gasped. There were at least a hundred butterflies above my hose just floating about. I felt like they were all waiting for me to notice them or something. I couldn’t believe my eyes so I hopped up, ran into the house and grabbed my camera. The slamming screen door woke the kids up. Thankfully neither cried-perhaps they felt my excitement? We three went out side and I took pictures galore. Seriously Monarch Butterflies were all over my yard. They were in the trees, on the flowers, even on us. They were making a come back and from what I was seeing… in a big way! I was in awe. I was speechless. I cried a little. Mostly I smiled and appreciated the moment. It was my sign. I think most people know the significance of the rainbow in the book of Genesis. These beautiful fragile creatures were my rainbow. If they could survive an incident which could have led to their extinction then I could survive this situation. Of course I had to tell my Nanny about it and I developed the photos (pre iPhone days) to show her at Sunday dinner. I’ve shared this story with a hand full of my closest friends over the years. It has such deep meaning for me. The Monarch Butterfly is beautiful but appears so fragile but there is a strength hidden within. It’s because of that strength I see them as my spirit animal.